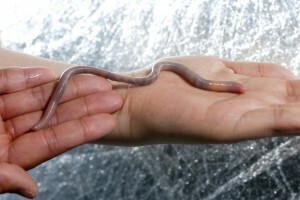 If you thought global warming is a 'can of worms' you were right – Earthworms found to increase GHG emissions | Watts Up With That? Earthworms increase emissions of carbon dioxide from soil on average by 33% and that of nitrous oxide by 42%. That’s because of the hustle and bustle of the critters, preventing the gases can more easily escape to the atmosphere. The researchers from Wageningen thinking an important mechanism in global warming on the track. Agricultural lands are by far the largest source of nitrous oxide, especially by yielding large amounts of manure. The researchers want to dive even further into the file. “We have particularly but experiments needed for we know to what extent global verworming leads to global heating”, concludes PhD student Ingrid Lubbers of Wageningen University. Earthworms, by burrowing through the soil and making it more porous, make it easier for greenhouse gases in the soil to escape into the atmosphere. 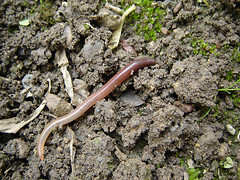 Earthworms mix organic plant residues in the soil, which may increase decomposition and carbon dioxide emissions. The earthworm gut acts as a microbial incubator, boosting the activity of nitrous oxide-producing microbes. Earthworms play an essential part in determining the greenhouse-gas balance of soils worldwide, and their influence is expected to grow over the next decades. They are thought to stimulate carbon sequestration in soil aggregates, but also to increase emissions of the main greenhouse gases carbon dioxide and nitrous oxide. Hence, it remains highly controversial whether earthworms predominantly affect soils to act as a net source or sink of greenhouse gases. Here, we provide a quantitative review of the overall effect of earthworms on the soil greenhouse-gas balance. Our results suggest that although earthworms are largely beneficial to soil fertility, they increase net soil greenhouse-gas emissions. Hah…I think the translation is off by more than a little. There were no earthworms in North America until the European settlers brought them over in the root balls of their fruit trees. Maybe that explains it. Or do away with the worms and starve to death. With Al Gore, Obama and the EPA go there? Denis Rodman needs to hire body guards. First it was the cattle, then it was the camels and the the dinosaurs and poor old humans have always been in the frame but the humble Earthworms increasing emissions of carbon dioxide from soil on average by 33%.might give them the crown for biggest contribution to the growth of plants to assist us all. I will treat the earthworms in our garden court with a new respect after learning this. As for World temperatures, they seem to be going down now and so that is quite a different story. Got to start feeding those earthworms BEANO! Worms are 90% of the land dwelling animal biomass. All other species pale in comparison. Each human produces 1/2 ton of CO2 per year simply by breathing. About 1 part in 10 of what is produce by humans burning fossil fuels. From this is can be readily estimated that earthworms produce more CO2 each year that the total human burning of fossil fuels. I agree, forget the tax on fossil fuels. Tax the worms. They produce more CO2 each year than the total of all human emissions. Since we know that taxes reduce bad things, a tax on worms would reduce their numbers, and if high enough could eliminate them altogether. By eliminating worms we could eliminate one of the main sources of CO2 on the planet. Making the earth a true paradise. Google and/or Bing doesn’t do too bad with Dutch …..
Maybe an “Earthworm Futures” market is coming up next….. Translation is not too bad. Nothing distorted. A few things come out funny. So the reason there’s been no warming for 16 years is that the earthworms have been goofin’ off? I am devasted. I have four worm beds in the back garden, they are thriving – does this make me a GHG Criminal… or am I harbouring criminals? I can hear the sirens now – goodbye world! So, I see the worm has turned in regard to climate change. Lol! Interesting piece. Without the worms (or Co2) the planet would be far from green…..doesn’t the irony cut them at all? But worms make GOOD carbon dioxide, not the evil man-made kind. Heck – they even have EARTH in their name! Earth worms have been spreading through out America ever since they were brought here by the Europeans. In Minnesota it is illegal to dump the earthworms that were used as fish bait. The population of earthworms in North America is probably reaching a peak despite laws like the one in Minnesota. So global warming should stop. A number of times I told those that are ‘saving the planet’ from themselves that termites and wetlands create a great deal of methane then attempt to explain how algae creates around 90% of the Oxygen they just laugh at me. I don’t know how to talk with these people. My only guess is they believe we are a plague to the earth and believe we need to be eliminated in order for other species to survive. This is the in the same vein as Dyson’s idea that agriculture, the very act of tilling the soil, may be an underappreciated factor in the atmospheric CO2 increases we are seeing. That’s not quite true but in the context of the study referenced it might be. The invasive ones have changed the ecology of those areas where they are now abundant. There are species native to the SE and PNW** of the USA. Finally a way for me to offset my carbon footprint without buying carbon credits. Dig up some nightcrawlers, son, we’re going fishing! So to stop global warming we have to do a global de-worming? How long after the de-worming will the de-warming take? “. . . they just laugh at me. Do they do it deliberately? Solar minimum cured global warming and is now killing earth worms. 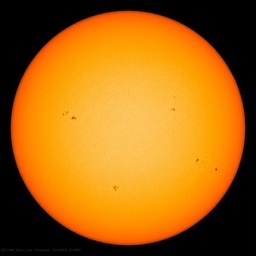 Dam you solar cycle 24. This is brilliant. We need more studies like this to prove the point that these studies are beyond rediculous! I bet they wore straight faces when they published their “findings”! SHEESH! This is an obvious storyline for GM crop merchants and chemical fertiliser companies. If earthworms increase carbon dioxide, they also increase plant growth through increasing bioavailability to roots. That should mean that the plants ingest more carbon dioxide to grow more. The other thought that comes to mind is that the next round of agri-research funding must link crop research to ‘global warming’ and ‘carbon cycles’. I’ll take my chances with more earth worms and suggest that the solution is not banishing earthworms but growing more trees. How will they wriggle out of this one? Someone needed a research grant for this?! So we’re now looking at the danger of global worming? Back in the 1970’s if you wanted to make money from noise; you’d form a rock band. But since the mid-1980’s, (proxy-)climatology seems to be the land of plenty for those trying to make money from noise. All those wing flapper/pants wetter types who worship all that is organic and eschew modern agricultural techniques will now have to eat humble worm pie. If they can no longer eat organic food because the worms are producing GHG, they will just have to starve. Boo-hoo. Thus whatever the amount emitted by worms, insects, bacteria and animals (including humans) the total contribution to the CO2 levels in the atmosphere is negative: more sink than source, as part of the carbon cycle is left as more permanent storage in humus, peat and ultimately (brown)coal. The species that most people recognize these days as the earthworms in their yards are introduced. Yes, there are all sorts of native nematodes but the ones a person would most likely use for fish bait came from Europe. It really did change the ecology of the forests and it actually took a considerable amount of time for them to spread. Well, there were several things that changed the forest ecology of the eastern US, the worms being only one of them (the loss of the chestnut forests being the another major change). The worms have resulted in a much faster breakdown of forest floor leaf litter. Perhaps earthworms are part of the life of Gaia and are actually beneficial to the nitrogen and carbon cycle.After all they make soil more porous reducing runoff and associated erosion. Fragile root systems may derive better nutrition enhancing plant growth and creating a natural carbon sink. The warmists and Lovelock followers should be all in favour of organic enhanced farming. They are doing a great job, the more worms the better. The CO2 released will be immediately available for plant takeup and use as food. Another stupid bit of ”research” proving that governments squander our money on useless work. You couldn’t go fishing with a rod and line then? you see no sight, you hear no sound. without the benefit of teeth. they named a planet after you. So, when I go fishing with a box of nightcrawlers, I’m fighting ‘Climate disruption’? Excellent. Consensus is building, “Note that research teams of four different international universities, including those of Wageningen. The study was made public Sunday.” And of peer review? I confess! I am guilty of encouraging worms in my soil and producing them in my compost bins! I am guilty of Global Worming. How do I expiate my sins? Reference please? I’ve never seen a claim for earthworm biomass anywhere near that high. I have heard claims that termites are the largest single land-dwelling biomass source, but this reference claims it is ants, and by a wide margin. Termites come in second at 445 million tonnes and are prolific methane producers. The things that certified smart people will publish with a straight face for other certitfied smart people to read! Let’s face it, living organisms are a blight on the planet. Robins, we need more robins to eat earthworms! Can I get a grant to raise them? Earth worms have been spreading through out America ever since they were brought here by the Europeans. In Minnesota it is illegal to dump the earthworms that were used as fish bait…..
Asian Earthworms! Help stop their establishment. The best way to deal with invasive species is to stop their introduction in the first place. There are several Asian species of earthworms in the genus “Amynthas” that are knocking on our doorstep and have the potential for very destructive impacts. So help the earth, drown a worm. Maybe we can convince all the environuts they need to go fishing 24/7/365…. the EPA wants to get rid of the introduced Invasive Asian Carp too. ….I don’t know how to talk with these people. My only guess is they believe we are a plague to the earth and believe we need to be eliminated in order for other species to survive. Antihumanism is a belief system which holds that humans are destroyers [whose] activities, aspirations, and numbers must be severely constrained… In the 1970s there was a global cooling trend going on. So the antihumanists said “look, there is global cooling, which is being driven by industry.. Put us in control.” Then in the 1980s the climate began to warm, so they said “look, there is global warming, which is being driven by industry.. Put us in control.” The problem is always different, the solution is always the same [de-industrialization, and:] – put them in control. Its not about weather, it’s about power. Do some research on the Eugenics movement. The Population Bomb: Has It Been Defused? Paul Ehrlich still believes that overpopulation imperils the Earth’s future. But the good news is we are approaching a demographic turning point: Birth rates have been falling dramatically, and population is expected to peak later this century — after that, for the first time in modern history, the world’s population should actually start to decline. The “population bomb” is creeping back onto the environmental agenda. Back in the late 1960s and early 1970s, when Paul Ehrlich wrote his book of that name and the Club of Rome produced computer simulations of a resources crisis in Limits to Growth, population was the number one environmental issue. Only strict birth control could prevent doomsday. After the scandals of India’s forced vasectomies and China’s draconian one-child policy, such views became too hot to express in progressive circles. But they didn’t altogether go away, and now more and more people are blaming the “p-word” for climate change and rising oil and food prices.